In What Order Should I Read? 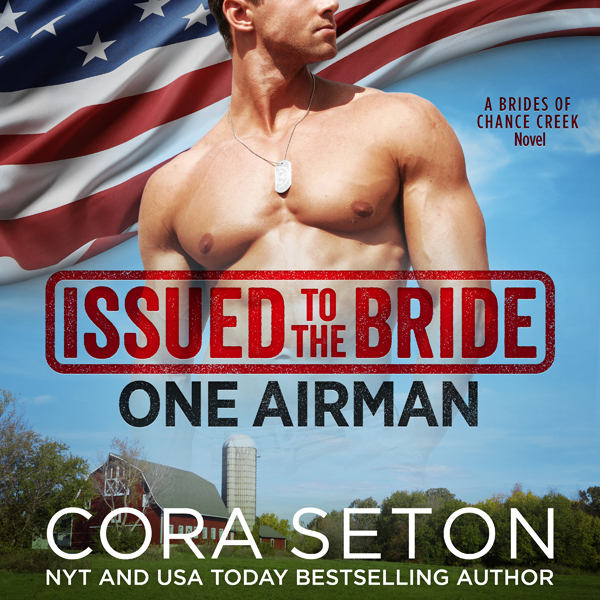 Airman Connor O’Riley doesn’t believe in love. But when he crosses into a warzone to rescue a downed pilot, and finds an elderly Syrian couple has kept the man safe, he’s moved by the pair’s long-term devotion to each other to rescue them, too—and promptly lands himself in hot water. 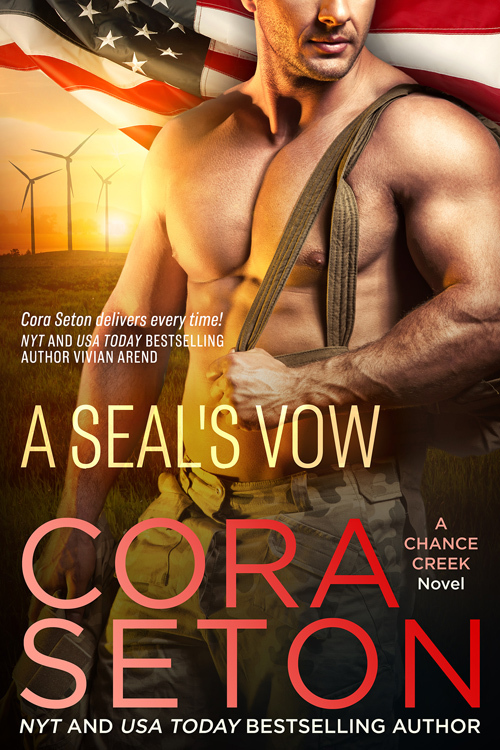 Shunted aside to a make-work, multi-branch detail under Army general Augustus Reed, Connor will do whatever it takes to clear his name—even if that means heading to Montana to marry the general’s daughter. Sadie Reed is done with love. Her poor choices nearly got her sisters killed when she fell for a man entrenched in the drug trade. She’s ready to leave Chance Creek—just as soon as her sister Cass returns from her honeymoon. So when the handsome airman shows up at Two Willows, with orders from her father to help Sadie build a legacy project, she gives Connor one month to get it done. Connor never thought he’d fall for Sadie, but when he learns she means to leave, he knows far more than his mission is at stake. Can he convince her to stay? Or will love remain out of his reach for good? Request this book at your local library. You don't want to miss out on new releases, giveaways and exclusive content only available to subscribers! Do you want a FREE Cora Seton Bookmark? We have some amazing bookmarks. Enter your information below to receive one. Have you already signed up for the newsletter? 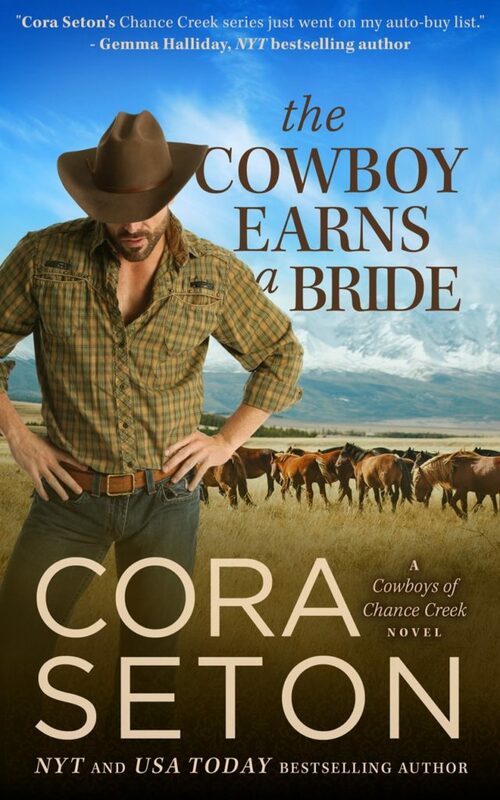 With over one million books sold, New York Times and USA Today bestselling author Cora Seton has created a world readers love in Chance Creek, Montana. She currently has thirty novels and novellas set in her fictional town, with many more in the works. Like her characters, Cora loves cowboys, military heroes, country life, gardening, jogging, binge-watching Jane Austen movies, keeping up with the latest technology and indulging in old-fashioned pursuits. She lives on beautiful Vancouver Island with her husband, children and two cats. You don't want to miss out on my next giveaway! Sign up for my newsletter to get access to new releases, giveaways and exclusive content only available to subscribers. I send out the newsletter 2-3 times each month. We will never sell your email address or spam you.